bulu bebek is another VB created virus. it behaviour hide folder or subfolder as well as file. it then duplicate the file name and make it .EXE. Bulu bebek contain 2 files which autorun.inf and bulubebek.ini. Autorun.inf will run this all generated .EXE files and therefor hang your computer system or pen drive. You can save delete the generated .EXE files using your antivirus program or quarantine it. 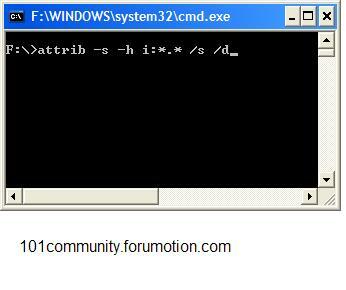 To restore hidden (original)files type the command below from MS-Dos console.